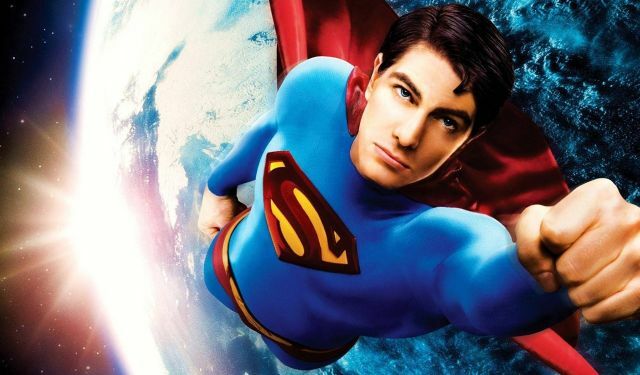 Despite how fans feel about the movie now, Superman Returns set the box office on fire when it was released in theaters in 2005. Talk of a sequel permeated throughout Hollywood for a while afterward, though director Bryan Singer was eager to try a smaller project beforehand. Singer revealed at San Diego Comic-Con 2006 that he was planning to shoot the film in 2008 for a 2009 release date, and said now that they had put the groundwork down he could “get all Wrath of Khan” on the movie, referring of course to the much-lauded Star Trek film. When asked by Empire if the film’s villain would be another Kryptonian or maybe Brainiac, Singer simply replied “Perhaps…” The film was set to be titled Man of Steel, which as we know would later become the title of Zack Snyder’s 2013 Superman movie, and the project eventually just faded away as interest departed at both the studio level and for Singer. Years later, a story treatment for the film would appear on the now defunct IESB revealing that the movie would pick-up with the remaining bits of Kryptonite from “Returns” having formed into a pretty satelite that orbited Earth and with Superman doing what Superman does. Eventually another entity arrives from Krypton, drawn by the floating mass in space, and quickly befriends Superman but goes against his wishes as far as “interfering” with the development of Earth. It would have then been revealed this Kryptonian was in fact Brainiac, who after much fighting with the Man of Steel would transfer himself into the body of Superman and Lois Lane’s son for their final battle. The outlet noted that the film would have dealt pretty heavily into the continued Christ metaphor as Superman would be forced to sacrifice his son to save the Earth.